Expert chess is an extremely male-dominated game. 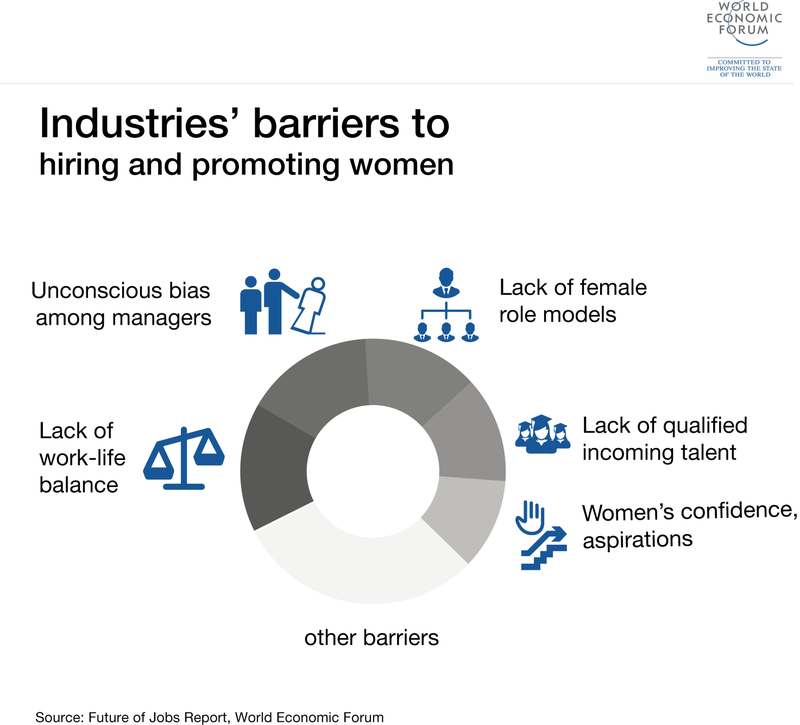 Recent explanations for the persistence of both the gender wage gap and the under-representation of women in top jobs have focused on behavioural aspects, in particular on differences in the responses of men and women to competition. This column suggests that it may not be competition itself that affects women, but the gender of their opponent. Analysis of data from thousands of expert chess games shows that women are less likely to win compared with men of the same ability, and that this is driven by women making more errors specifically when playing against men. Despite heated academic debates and some bold policy reforms, the gender wage gap and the under-representation of women in top jobs persist. This persistence challenges explanations based on pure gender differences in human capital or preferences, as well as explanations based on statistical discrimination on the part of employers (Blau and Kahn 2016). More recent explanations have focused on behavioural aspects, in particular on differences in the responses of men and women to competition. For example, Gneezy et al. (2003) find that men perform better than women in competition, and Niederle and Vesterlund (2007) observe that women are more reluctant than men to enter into competition, even when they perform as well as men in non-competitive environments. Many see these results as proof that women genuinely dislike competition or that they are innately handicapped for it. But is that so? Is it competition that bothers women, or is it who they are competing against? This last question might be especially important in male-dominated environments where women suffer from strong negative stereotypes and where they face male competitors more often than not. This remains a relatively unexplored question, mostly because it is difficult to obtain data on real-world competitions where innate ability can be observed and where women and men compete on an equal footing. Professional chess tournaments offer an excellent framework to study the existence of gender interaction effects in competition for three reasons. First, men and women compete on equal grounds and head to head. Second, luck plays no role in the outcome of a game – rather, it depends on effort and ability. Third, that ability has a public and well-established measure, the Elo rating, named after its creator, the physicist Arpad Elo. Online databases of games played at international tournaments include information on players’ characteristics, the movements they made in a game, and the outcome. Highly motivated players regularly check these databases to study their opponents and to learn new movements. Expert chess is an extremely male-dominated game. At the moment, it seems easier for a woman to become American president than world chess champion – only 11% of players in international mixed gender tournaments and 2% of grandmasters are women, and there is only one woman among the world’s best 100 (the Chinese player Hou Yifan). But one does not need to go back to the 1960s to find such prejudices. As recently as 2015, the English grandmaster Nigel Short said that “Girls just don’t have the brains to play chess”. Unfortunately, it seems that many professional chess players believe that chess is like Dr Pepper: “it’s not for women”. But there is no compelling evidence of men’s innate superiority in chess. Expert chess also resembles highly competitive professions in that it requires determination, tenacity and lots of hours of practice. Women who are professional chess players, just like women in many competitive occupations, have selected themselves into a highly demanding male-dominated environment. Given this selection, one would expect women not to be affected by the gender of the person they are competing against – but they are. In a recent paper written jointly with two colleagues, Peter Backus and Santiago Sánchez-Pagés, and two computer scientists, Matej Guid and Enrique López-Mañas, I study the existence and possible causes of gender interactions in competition by using data from expert chess players – those in the top 5% of the distribution of world players. Taking advantage of the thorough efforts of chess enthusiasts over the years, we obtain data on thousands of games and players, their Elo rating, age, federation, tournament and, of course, their gender. The first result of our study was expected. On average, women underperform compared with men of the same ability. Our second result is more worrying (and interesting). The gender gap in performance is due to the gender composition of games. When a woman plays against another woman of the same ability, she has a 50% chance of winning. But when a woman plays against a man of the same ability, she only has a 46% chance. This is equivalent to a handicap of 30 Elo points when the opponent is a man. To clarify the reasons behind such a depressing result, we use information on the movements made in each game to calculate a measure of quality of play for each player in each game. To do so, we follow the methodology of Guid and Bratko (2006). We compute the difference between the quality of the movement chosen by the player and the quality of the movement that a chess engine would have chosen instead. The chess engine we use has an Elo rating above 3,000 points and therefore it is better than any human player, including the current world champion Magnus Carlsen. Our measure of the quality of play is the average of these differences within the ‘middle game’. That is, it is a measure of the errors committed during the most creative phase of the game and where improvisation is crucial. When we regress this measure of error against our controls and the gender of the opponent, we find that women commit more mistakes when they play against a man. The quality of play of men, however, is not affected by the gender of the opponent. It is important to note that we also find that, after controlling for players’ characteristics, the average quality of play of woman versus woman games and man versus man games are identical. So, it is not that women dislike competition or are just worse at competing; the problem appears when they compete with men. These results are thus compatible with the theory of stereotype threat, which argues that when a group suffers from a negative stereotype, the anxiety experienced trying to avoid that stereotype, or just being aware of it, increases the probability of confirming the stereotype. As indicated above, expert chess is a strongly male-stereotyped environment. Other results from our study show that men also modify their behaviour when playing against women. Given two opponents of equal ability and two identical board positions, men resign later when they play against a woman. This result echoes the observation of the 19th Century American writer Charles Dudley Warner, who said that “nothing is more annoying for a man than losing a chess game against a woman”. Probably, resigning against another man can always be interpreted as a ‘gentlemen’s pact’. We also observe a detrimental effect of increased competitive pressure on performance when such pressure is measured by increased stakes in the game. When the Elo points at stake in a game are larger, players, both men and women, commit more mistakes. A similar result was obtained by Paserman (2010) using data from Grand Slam tennis tournaments. But we do not observe gender differences in the effect of increased competitive pressure. Finally, let me mention two policy suggestions that can emerge from our analysis. First, it could be a good idea to introduce ‘blind’ tournaments in which the gender of players would remain unknown, as in the case of blind orchestra auditions (Goldin and Rouse 2000). Second, note that expert women chess players are highly professional. They have reached a high level of mastery and they have selected themselves into a clearly male-dominated field. If we find gender interaction effects in this very selective sample, it seems reasonable to expect larger gender differences in the whole population. Backus, P, M Cubel, M Guid, E López-Mañas, and S Sánchez-Pagés (2016), “Gender, Competition and Performance: Evidence from Real Tournaments”, IEB Working Paper 2016/27. Blau, F, and L Kahn (2016), “The Gender Wage Gap: Extent, Trends, and Explanations”, IZA DP No. 9656. Gneezy, U, M Niederle, and A Rustichini (2003), “Performance in Competitive Environments: Gender Differences”, Quarterly Journal of Economics 118: 1049-74. Gneezy, U, and A Rustichini (2004), “Gender and Competition at a Young Age”, American Economic Review 94: 377-81. Goldin, C, and C Rouse (2000), “Orchestrating Impartiality: The Impact of “Blind” Auditions on Female Musicians”, American Economic Review 40: 715-42. Guid, M, and I Bratko (2006), “Computer Analysis of Chess Champions”, International Computer Games Association Journal 29 (2): 65-73. Niederle, M, and L Vesterlund (2007), “Do Women Shy Away from Competition? Do Men Compete Too Much?” Quarterly Journal of Economics 122: 1067-101. Paserman, D (2010), “Gender Differences in Performance in Competitive Environments: Evidence from Professional Tennis Players”, working paper, Boston University.